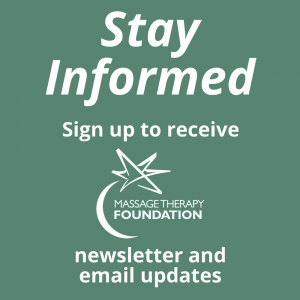 ‘“Massage Grant Provides ‘Fantastic Opportunity’ to Ease Caregiver Stress” by Allison Payne – published in the April 2018 issue of Massage Magazine. This article highlights a 2017 MTF community service grant to Rural Resources. “Ventures in Therapeutic Massage for Developmentally Disabled Adults”– This project led by Kathryn Greschner of Cornerstone Ministries, Inc. in Cumberland, WI is featured in the BIOTONE Winter 08/09 Catalogue. “Paula Termini’s Story”– published in the Summer 2008 issue of AMTA Florida Journal. 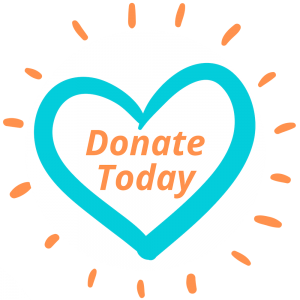 This article highlights a 2005 Massage Therapy Foundation community service grant entitled “Special Care for the Childbearing Year: Perinatal Massage”. “The Hopevale Massage Therapy Project”– published in the Winter 2008 issue of the Journal of the Australian Association of Massage Therapists. This project, funded by the Massage Therapy Foundation in 2006, promotes the health of marginalized communities through hands-on treatments. ”Bodywork for the Homeless”– published in the Spring 2008 issue of Washington Massage Journal by Cynthia Price, PhD. It features a Foundation-funded community service project awarded to Alternative Healthcare Access Campaign in Seattle, WA in 2007. “Charitable Hearts and Hands-Serving the Underserved” by Karrie Osborn – published in the March/April 2009 issue of Massage and Bodywork Magazine. Contains information about MTF’s 2007 “Bodywork for the Homeless” grant to Alternative Healthcare Services of Seattle, WA. “Camp Hope”– an article published in mtj about a 2006 Community Service Grant recipient Nancy Smith providing therapeutic massage to pediatric burn survivors.